Development of an online publishing platform focused towards college students. 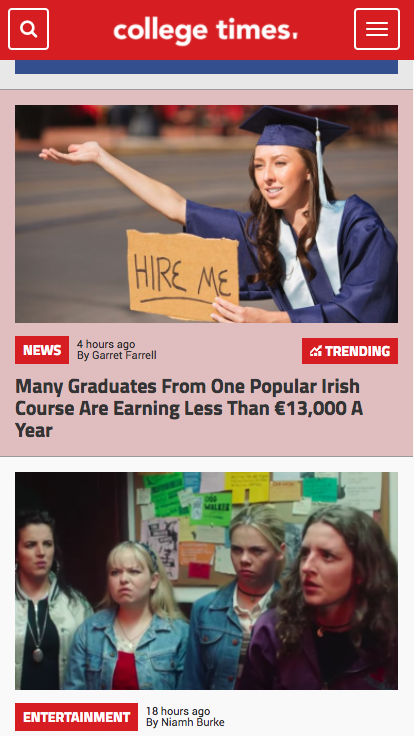 CollegeTimes.com is the home for Irish students; past, present and future. They offer a mixture of useful and entertaining content for anyone who is still in college, is about to start third level or is trying to make their way in the big bad graduate world. 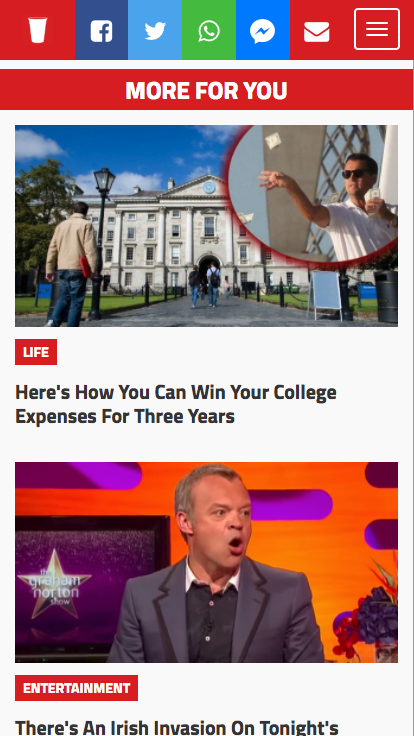 Take a look around the website and you'll find relevant news, views, quizzes, advice and a fair share of nonsense. 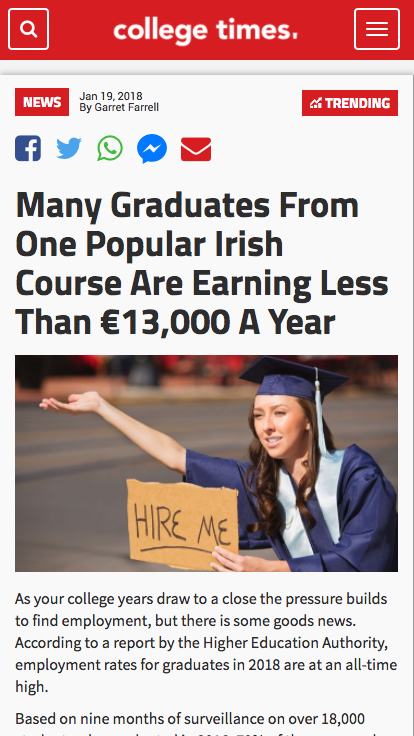 Square1 were commissioned by the team at College Times to design and develop a platform for Irish students. We developed a fully mobile responsive website. The new site is fully integrated with Google DFP ad server, this allows the team at College Times full control over site wide sponsorship integrations.